60 Days to a NEW You! Are you ready to have the courage to heal from abuse? Have you felt you don't really know who you are? 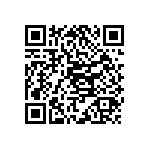 Are you ready to find out who the real you is? 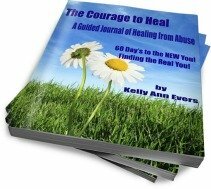 I have created this eBook/pdf "The Courage to Heal from Abuse: 60 Days to a New You" to help you heal for ONLY $0.99! Beloved, no doubt you have been hurt deeply, wounds only God knows about, but even more there has been a loss: a loss of self-identity, a loss of self-love, a loss of self-being. This self-guided journal is not about what was done to you, but it is about redeeming the losses and restoring the future so that you can live, love, and laugh as the real you, the beautiful you, who you were created to be. For victims of abuse, becoming healed involves more than leaving the abuser. Becoming healed means taking back areas of your life that were stolen from you. When a woman lives with an abuser, his intent is to control her, which means taking away her self-worth, her dignity, her own wants and needs, and forcing her to set aside everything that make her an individual. She learns to like what he likes, do what he tells her to do, think as he thinks. She accepts that life, and lives the way he says it must be lived – with him always in charge. To break free from years of this type of oppression, victims have to learn who they are and what they like. For the most part, victims really don’t know who they are. Without choices, how can we learn to think on our own? They have never been allowed to make choices for themselves; they have never been allowed to have their own opinions. For years, they have been told what to think. Therefore, learning who you are is a process, a beautiful voyage into self-discovery. It's about me showing you how to have the courage to heal. You are on the journey to becoming healed and whole, and it is one of the most beautiful journeys you will ever experience. You have an opportunity NOW to heal! Today, this week, this month, and this year you have the opportunity to learn about yourself, and you will decide on your own what you like and what you don’t like. Your self-discovery will include making decisions about the clothes you wear, the makeup you use, the TV programs you watch, if you like scrambled or over-easy eggs, and so much more that you have not been allowed to do. I want to encourage you to embrace this time with having the courage to heal with great joy, and to wake up each day excited to learn more and more about yourself. Beloved, you are important! Caring for yourself – your health and your overall well-being – is vital to becoming healed and whole. As victims of abuse, we quickly learned to allow our own needs to take a back seat. We care for others very well, but when it comes to our own wants and desires we set it aside for another day–unfortunately, a day that never comes. There is always someone or something that takes precedence over us. So, today I give you permission to recognize how valuable your life is, and to care for yourself. Not only do I give you permission to care for yourself, I strongly encourage you to do something special for yourself each day. Usually, victims of abuse don’t even know what they like. Too often, they have been forced to like what the abuser likes. Many times they will cater to so many other people that they haven’t even had a chance to think about what matters to them. But that’s all in the past. Today is your day to take care of you! Are you ready? Let’s pray that the Lord will be at your side as you journey through this beautiful season of self-discovery and the courage to heal. Lord Jesus, Your Word says that You want me healed and whole. Lord, you say that the enemy comes to steal, kill, and destroy but You came so I may have an abundant life. Lord, you say that You want me caring for my body, the temple, and Lord, today I desire to do so. Lord, I don’t know how to, so I ask You to help me learn about myself, help me know what I like and don’t like, and as I am learning about who I am, help me embrace the person You always meant me to be, the one that You created. Teach me to love myself, and teach me to learn to love doing something special for myself daily. In Jesus’ name I pray. Amen.